I am aware that participation in Tour de Llama is dangerous and I am voluntarily participating in this activity with the knowledge of the dangers involved and hereby agree to accept any and all risks of injury or death suffered by me as a result of my participation in this activity. 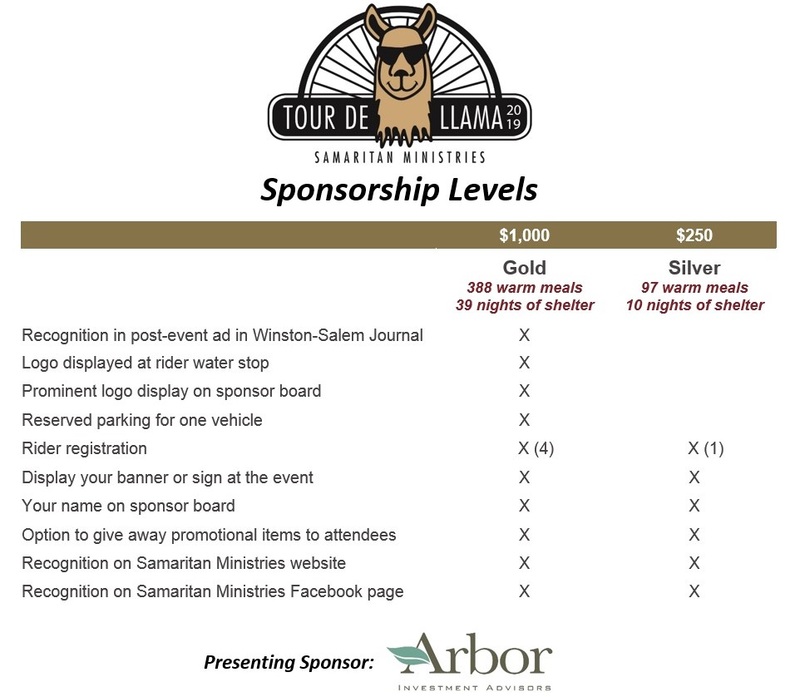 I release Samaritan Ministries, Ken’s Bike Shop and al sponsors from any claim for injury that may result. I understand that an Ansi/Snell approved helmet must be worn by me at all times on the course. I understand that this is not a closed course and I must abide by the rules of the road. I hereby give permission to Samaritan Ministries to use my name and any photography taken of me during the event in any promotional materials or publications. I certify that I have read this waiver and release and understand its significance. No refunds. Note—all riders must check in morning of ride and sign a copy of this waiver. Please provide the information above for each additional rider. Deadline for sponsors is June 14.
note: recurring gifts add up to make a big difference!